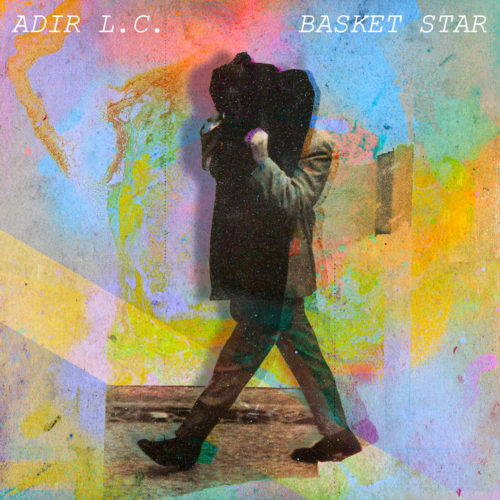 There’s nothing like an impeccably written song, and Brooklyn’s Adir L.C. has undoubtedly given us one with “Big Bad,” the first single from his upcoming album, Basket Star, due out May 17th via Birdwatcher Records. Joined by a large cast of musicians (including one of the city’s best drummers, Cameron Wisch, and some delicate trumpet and trombone), Adir and company present a textured type of eerie folk on a song that slowly unfolds in synch with his silky vocal melodies. It’s that kind of singer/songwriter swoon that when done to perfection can raise goosebumps on your arms. As the horns come in and the song eventually swells with a galloping rhythm, it’s the vocal counterpoint that keeps the balance and it’s the song’s structure and composition that are radiant. Adir L.C. will celebrate the release of the single on February 9th at Haybaby Cat Farm with Emmerson & her Clammy Hands, Wisebuck, and Joanna Sternberg.